The Falls At Norwood - Easy access to 264, 540 and 440 MLS#2235418. 4542. Property is zoned AR, bring horses, goats & ATV. New roof in 2018 MLS#2239945. 4845. Portofino - Edenton Open Floor Plan Boasts ecoSelect High Performance,Energy Efficient,& Smart Home Technology,Wrapped Front Porch,9ft Ceilings,Oak Tread Stairway,Master w/His & Her Closets, Lux Bath w/Tiled seperate Shower & Garden Tub!Cooks will LOVE the GRAND KITCHEN, w/ISLAND & BREAKFAST AREA open to the Family Room w/Nat Gas Fireplace & Built-ins!seperate Din Room w/Coffered Ceiling,Office(or Bedroom) on 1st Floor,Large Bonus Room,Tons of Storage on Walk Up Unfinished 3rd floor!Screened Porch,Fiber Cement Siding w/Stone accent & .87 Acre Lot!! ! MLS#2246052. 1197. 2 additional baths, 3bdrms, and a loft give you tons of space for the other loves in your life! Great community with clubhouse & pool! MLS#2245991. 1197. This home is in the Cleveland Bluffs community with a clubhouse, pool, fitness center, walking trails, ans sidewalks to both Cleveland Elementary and Middle School! MLS#2245989. 1197. Versatile floor plan offers bedroom with full bath on the 1st floor, an open and airy feel, & tons of upgraded features - wood floors, granite countertops, Stainless Steel appliances, deck & private lot MLS#2245932. 2927. Flowers Plantation's Newest Neighborhood West Ashley, with custom builders, established neighborhood, friendly community, all starting in the low $220s. MLS#2245985. 2850. Flowers Plantation - Pre-Sale Entry MLS#2246032. 2850. Flowers Plantation's Newest Neighborhood West Ashley, with custom builders, established neighborhood, friendly community, all starting in the low $220s. MLS#2245960. 2850. Country Estates - The lot is ideal as well - flat and low maintenance! MLS#2246015. 989. Enjoy the fabulous 3 Season Room w/heated floors; Large Deck overlooks manicured yard! MLS#2245880. 1647. Knolls At The Neuse - Enjoy the scenery and sound of the river on the extended covered patio. Low .84 tax rate! MLS#2245820. 5043. Very close to all parts of the Triangle and about 20 minutes to downtown Raleigh. 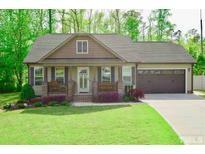 MLS#2245783. 2304. Knolls At The Neuse - Warranty program included. Conv to 70 Bypass. MLS#2245849. 1197. Knolls At The Neuse - The Watermark "Iron Oak" features quality with tasteful finishes. Warranty program included! MLS#2245678. 1197. $3K in closing cost, pictures are of similar home, est. completion Sept. MLS#2245840. 2983. Flowers Plantation - Please call for estimated completion date. MLS#2245709. 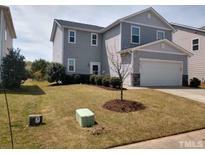 782.
completion Sept, $3K towards closing cost with preferred lender and attorney. MLS#2245825. 2983. Still time to personalize this home with interior selections of buyer's choice. MLS#2245834. 2983. Cobblestone - Master Retreat w/Soaking Tub, Separate Shower, Dual Vanity+Walk in Closet. Patio. Flat .24ac FENCED Yard. MLS#2245651. 1647. Flowers Plantation - pre-sale entered for MLS purposes MLS#2245804. 2983. Lions Gate - Outdoor storage closet. Fenced side patio. Neighborhood amenities. MLS#2244412. 4498. Cottenwood - Heating and cooling system 6 years MLS#2245816. 2944. Lockwood Forest - Super large, fenced back yard with storage shed! This won't last long! MLS#2245566. 1647. 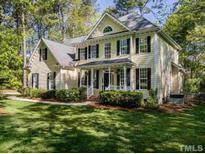 Portofino - Covered & Screened Porch, 2-car garage, stone accent, huge backyard. MLS#2245494. 1197.